It's that time of year again! Come out and support Park County Search and Rescue. 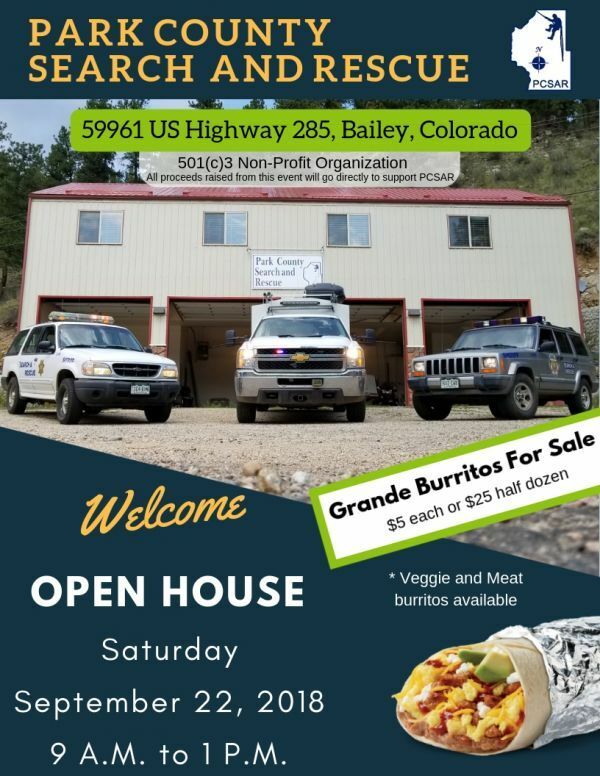 It's an Open House with delicious burritos for sale. Come and show us some support and love. We can't wait to see you! Saturday September 22, 2018 starting at 9 A.M.